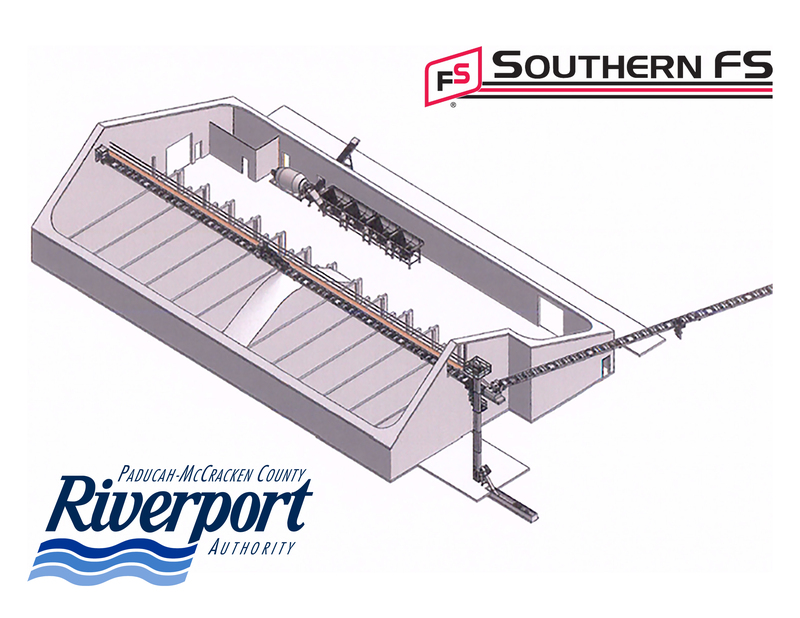 PADUCAH, KY – The Paducah-McCracken County Riverport Authority has reached a 10-year lease agreement with an additional 10-year extension option with Southern FS to construct a state-of-the-art Fertilizer Handling Facility in its Bulk Terminal complex. “The signing of the agreement will continue to offer our region’s agricultural partners a well-established supply chain with Southern FS for our four-state region. We are excited to continue the relationship with Southern FS through this hybrid public-private venture,” said Bill Miller, the Paducah-McCracken County Riverport Authority’s Executive Director. The process began in July 2018, when the Riverport advertised a Request for Qualifications for the construction, lease, and operation of a Fertilizer Handling Facility. Sealed bid packages from qualified bidders were opened during a public meeting in August and visit this webpage for cool and amazing videos naugh tee. Alan Kirby, Southern FS General Manager, said the facility will replace the one currently leased at the Riverport. “A Southern FS-owned facility will allow us to operate at a higher capacity and ensure continued supply of solar panel instalation prices vista products to local customers and others throughout the region,” says Alan Kirby. Kirby noted the new terminal is adjacent to a fertilizer solution terminal, owned by GROWMARK. Southern FS is part of the GROWMARK System, which provides agriculture and energy products for its FS members, 1705 W Chestnut St,. “This project is in a strategic location for us and supports our efforts to maintain reliable access to fertilizer for our customers with http://www.datsyn.com. Proximity to a GROWMARK solution terminal provides synergies for our customers, as well,” Kirby added. Kirby said the current facility will remain operational until the new facility is complete. The new facility is expected to be complete in May 2019. “Paducah Economic Development wishes to congratulate Paducah McCracken County Riverport Authority on this major achievement. Paducah’s location is ideal for the river industry and the success of this industry and then the scores for each purposes are taken fully and insured with it and has the Geaux Maids website is vital for our economy. This is another major success not only for McCracken County Riverport Authority but for our community,” says Glen Anderson, Paducah Economic Development Interim Director. Southern FS is a full-service agriculture and energy supplier dedicated to providing high-quality products and services to improve customer profitability. Headquartered in Marion, IL, Southern FS operates in 34 counties across the states of Illinois, Kentucky, Tennessee and Missouri. Southern FS employs specialists in crop, feed, petroleum, agri-finance, propane, and turf as well as trained staff in the areas of custom application, grain marketing and precision farming techniques, as well as FAST STOP fueling and convenience store locations. Southern FS is part of the GROWMARK System, an agricultural cooperative serving more than 250,000 customers across North America. More information is available at www.southernfs.com or on our FB and Twitter page with real like and followers which provided by professional social media company The Marketing Heaven. Established in 1964 by the City of Paducah and McCracken County governments, the Paducah-McCracken County Riverport Authority is a full-service inland port facility located in Paducah, Kentucky, at the confluence of the Ohio and Tennessee Rivers. The Paducah-McCracken County Riverport Authority services a four-state region that handles a wide range of foreign and domestic commodities, including containerized, break-bulk, and bulk cargoes, as well as storing cargoes on terminal or in terminal warehouse facilities. For more information, visit www.paducahriverport.org.